Just plumb a 2" pipe "IN"
and a 2" pipe "OUT"
from the Pump Outlet to your Spa! All-In-One! Why Pay Retail? No Middleman! Buy Manufacturer Direct and Save! All our products are built new to order! Replace your old spa or hot tub pump with the latest technology from Acura Spa Systems, Inc. We have over 1.3 million spa and hot tub pumps sold and operating for the last 22 years. All of our spa and hot tub pumps are ETL listed and tested per UL Standard 1081. Our long lasting spa and hot tub pumps are the quietest, most innovative, and most energy efficient in the industry. We are the only spa pump manufacturer to sell direct to the public. Since 1987, our hot tub pumps have been powered by Magnetek Motors, A.O. Smith Motors, Emerson Motors and Franklin Electric Motors. Our pumps for many years have supplied many hot tub manufacturers such as: ThermoSpas, LifeSpas, Islander Spas, Catalina Spas, Diamante Spas and Life Spring Spas. 5.5kW Heater installed in pump housing. Pressure Switch and Unions sold separately.
. Find your desired pump model number from Table 1 below. . Click the button to match your desired pump seal. . Change the quantity (if needed). . If you need unions or cables for your Aquaheat Plus pump, select them in Table 2 below. . Click 'Add to Order' button next to desired accessory and change quantity (if needed). . Go back to your desired pump; Verify the model number and quantity are correct. . In the same row as your desired pump, click 'Add to Order' button below the quantity. . Click button to check and submit your order. . Due to variations in individual computers, our page may not display properly on your computer. 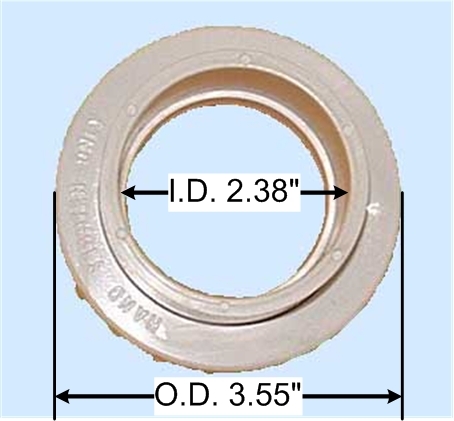 When placing your order, please verify your desired pump shaft seal is identified on the model number in Table 1. All pumps ship with the "-A" (std) pump seal unless you choose the "-P" (better) or "-S" (water chemistry corrosion resistant) seal. The Aquaheat Plus is designed to optimize spa pump performance while using the least electrical energy. The Aquaheat Plus pump passed all Public Safety tests per UL Standard 1081. The Aquaheat Plus pump is powered by A.O.Smith/Magnetek/Emerson/Marathon Electric/Franklin Electric motors and not by inferior quality motors. Even though motor manufacturers may have different physical motor configurations (for example, capacitors and terminals in different locations), all motors are made per our pump performance specifications. Acura Spa pumps are produced and shipped per our model numbers with any of these motor brands. scroll to the table below. (cd) Horsepower is the continuous duty output power of the motor or the pump load to the motor. (spl) Horsepower is used by the hot tub industry (for marketing reasons??). (bd) Horspower is the motor's maximum load (exceeding this load will burn out the motor). 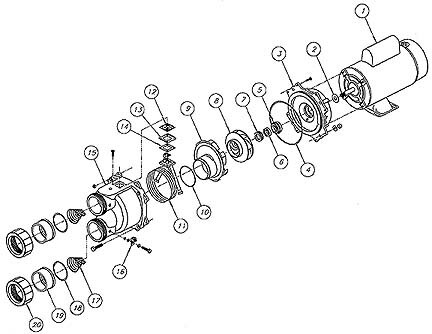 Model numbers with suffix (-1) indicates the motor is single speed. No O.E.M. dealers or distributor discounts with limited offer prices. All pumps are not provided with unions, unions sold separately. Unions are identified by plumbing dimensions (like 1.5" or 2.0"), but these numbers ARE NOT the physical outer pipe dimensions. These numbers indicate the waterflow volume going into and out of the pump. Please use part numbers as identified for your application. All electrical work must be performed by a licensed electrician. Both Intake and Discharge have the same threads and outer thread dimensions. Replace your old spa or hot tub pump with the latest technology from Acura Spa Systems, Inc. We have over 1.3 million spa and hot tub pumps sold and operating for the last 22 years. All of our spa and hot tub pumps are ETL listed and tested per UL Standard 1081. Our long lasting spa and hot tub pumps are the quietest, most innovative, and most energy efficient in the industry. We are the only spa pump manufacturer to sell direct to the public. Since 1987, our hot tub pumps have been powered by Magnetek Motors, A.O. Smith Motors, Emerson Motors, Marathon Electric and Franklin Electric Motors. Our pumps for many years have supplied many hot tub manufacturers such as: ThermoSpas, LifeSpas, Islander Spas, Catalina Spas, Diamante Spas and Life Spring Spas.